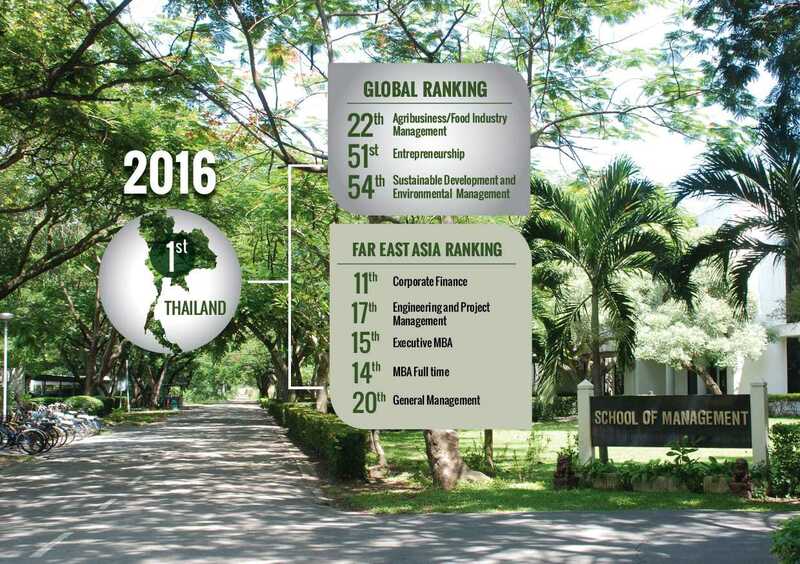 The Asian Institute of Technology (AIT) is a small institute that offers only post-graduate programs, which effectively renders it ineligible for various University Rankings. 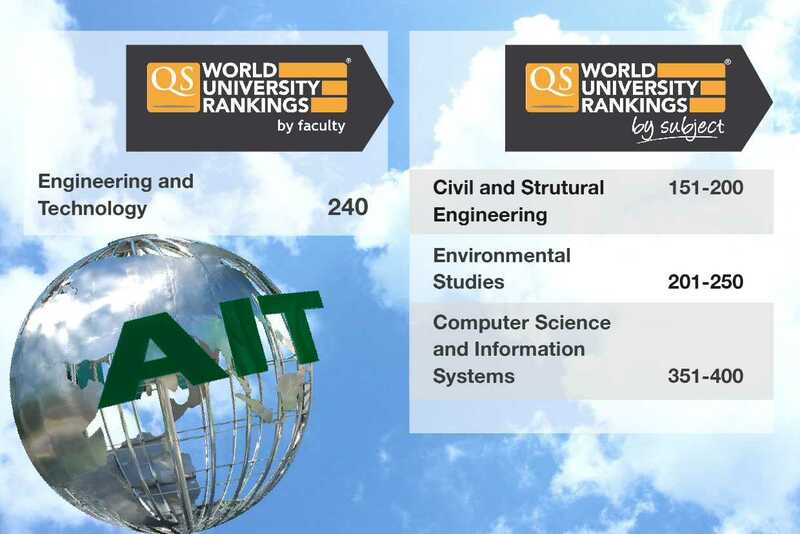 However, during the past two years, whenever AIT has participated in any global ranking, it has always come out at the top. 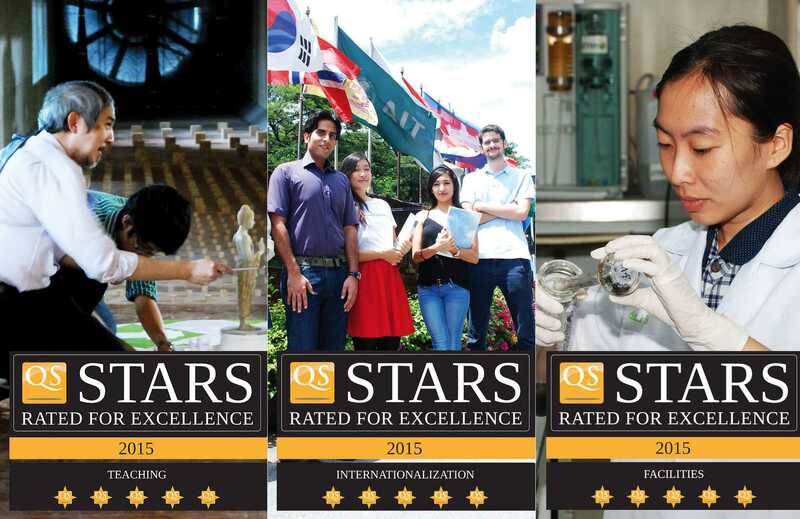 Here are a few info graphics that tell the story of AIT Rankings and Ratings. More details at this link. 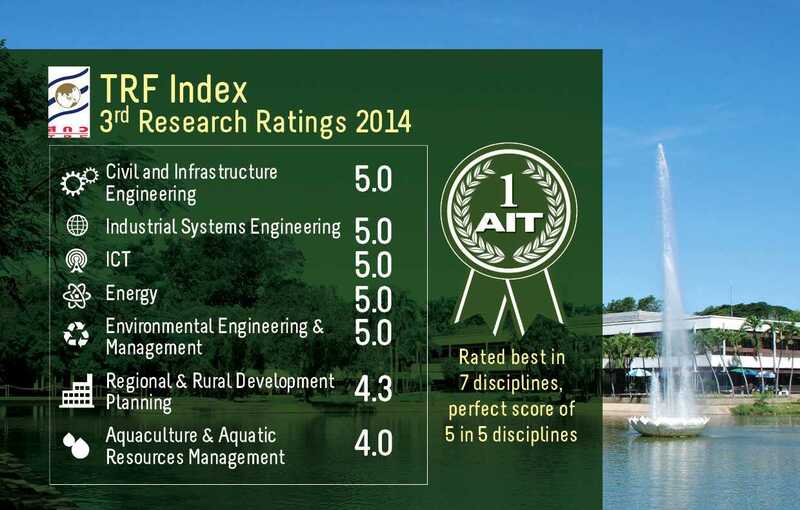 AIT received the highest rating from Thailand Research Fund (TRF).